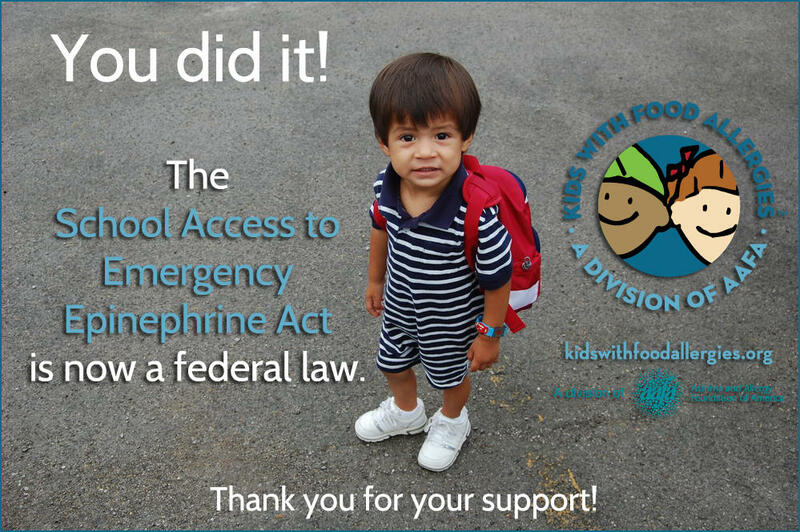 President Obama has signed the School Access to Emergency Epinephrine Act into federal law. Thank you to all who took action to help this important federal legislation move one step closer to protecting children at school! Your support of this bill will help make our schools a safer place for children at risk for anaphylaxis. The law encourages – but does not require – states to implement policies allowing schools to stock epinephrine auto-injectors for use in emergencies. States who develop such policies that allows self-administration of asthma and anaphylaxis medication will be given additional preference for grants. While this law sends a strong message from the federal government about the importance of being prepared to treat anaphylaxis, we still need to work to ensure that all states pass epinephrine stocking laws for schools. The Asthma and Allergy Foundation of America (AAFA) supports school policies that promote access to life-saving medications to treat students and staff who experience severe allergic reactions. Visit http://www.aafa.org/page/epine...king-in-schools.aspx to learn more and take action on pending state epinephrine stocking bills. 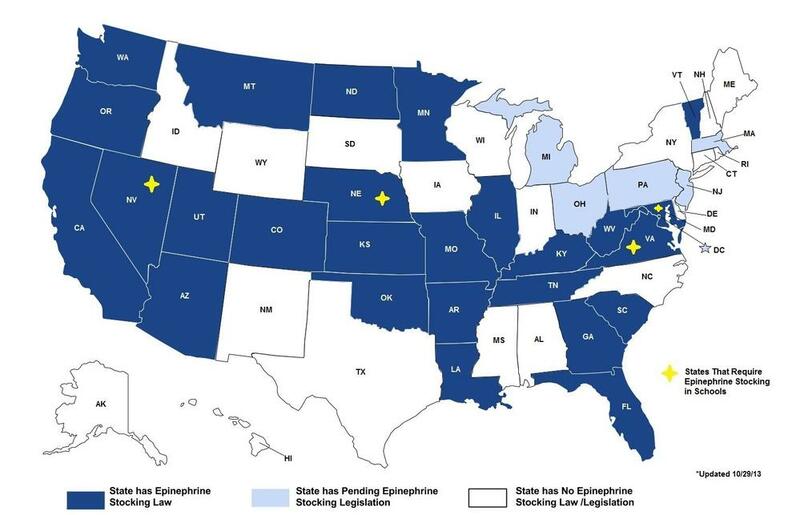 Does your state allow emergency access to epinephrine in schools? AAFA's VP of Public Policy, Charlotte Collins, JD, and KFA's Medical Advisory Team Chair, Dr. Michael Pistiner explain why access to epinephrine in schools is important to children who are at risk for anaphylaxis (severe allergic reaction). The key issues surrounding stocking epinephrine in schools were presented. Kids With Food Allergies is a division of the Asthma and Allergy Foundation of America.